I was reminded of the brilliance of Oscar Wilde back in September 2014, when Hesperus Press kindly provided me with a copy of his “Canterville Ghost” for review, and what a joy it was. I’ve dipped into Oscar’s work on and off over the years, and obviously know something of his life – so when Michael Walmer mentioned that he was reissue a rare memoir of the great man, by a Virago author to boot, I was very eager to read it! The Virago author is Ada Leverson, author of “The Little Ottleys” (amongst others). Leverson was a close friend of Wilde’s, offering him sanctuary at one point during his ‘troubles’, and she was known to him as ‘The Sphinx’. Not only does this slim and lovely hardback volume contain her touching memoirs of the author, it also collects together his letters to her and an introductory piece by another of his staunch allies, Robert Ross. The latter introduces the book, which then features three pieces by Leverson, recalling encounters with Wilde, remembering triumphant first nights, and reflecting on his fall from grace and incarceration. Always moving, Leverson’s calm tone throws the cruel treatment Wilde received into even sharper relief. The final section contains 30 letters or excerpts or telegrams from Oscar himself, sent to Leverson over a number of years. These give a wonderful picture of Wilde; his wit, his generous praise of his friend, his later despondency and his response to Leverson’s support and kindness during his imprisonment. Just the gift of a book would raise his spirits and it’s moving and quite dreadful to think of him locked up like this thanks to a hypocritical society. “Letters to the Sphinx” was issued in 1930 as a limited edition and has been unavailable since, which is another tragedy. So kudos to Mike Walmer for reissuing the book and letting us have a glimpse into one of Wilde’s most enduring friendships. Really glad you saw the worth of this, Karen; Leverson’s essays are incredibly valuable on their own in my opinion, let alone with the letters to grace them. Thanks! 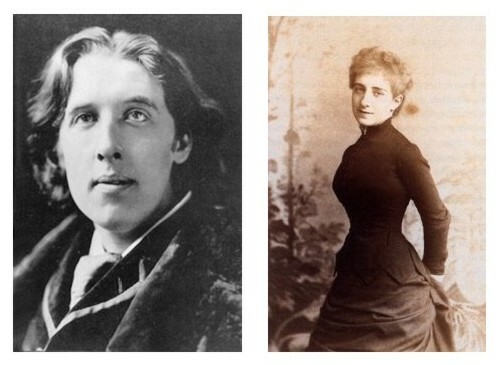 They are – they give a real insight into Wilde from a friend’s point of view. Thanks for republishing these! Sounds great — this is something I’d love to read! It’s definitely worth picking up, Harriet – a lovely little read. Sounds like a wonderful book and so glad the publisher decided to re-publish it. Thanks for including the link! It’s lovely – definitely needs to be in print and a must-read for any lover of Oscar! Thank you. I both like Wilde and Leverson and knew of their friendship. I put this book on my TBR mental list thanks to you. Oooh I want this. Sounds fantastic. I have a collection of Wilde’s letters that I got for very cheap at a used bookshop. Your review makes me want to finally read them! Oooh yes – they should be wonderful! Ooh how intriguing! 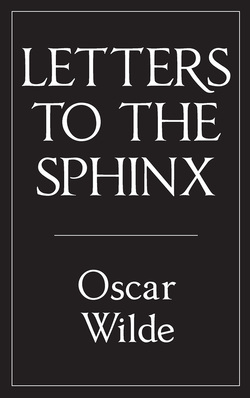 NHE have just released an essay collection by Oscar Wilde which I’m reading for Extra Shiny. I realise that although I feel I know stuff about Wilde, it’s mostly just urban myth stuff – would be very interesting to see him through the eyes of a close female friend! Don’t tempt me – NHE books are *so* lovely….. Yes, with Oscar it’s hard to disentangle the myth from the man, but you felt here you were hearing about a very genuine person, which was lovely. I do love Oscar – “The Canterville Ghost” is fabulous!